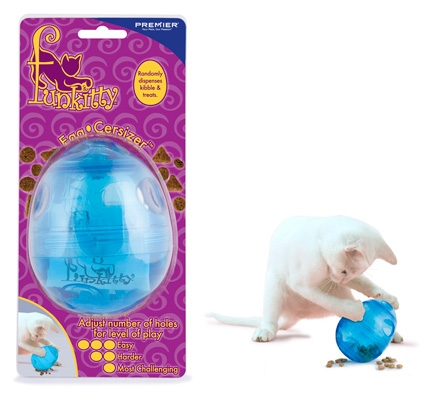 Designed to randomly dispense treats and kibble, the Egg-cersizer is uniquely adjustable to your cat’s level of play. 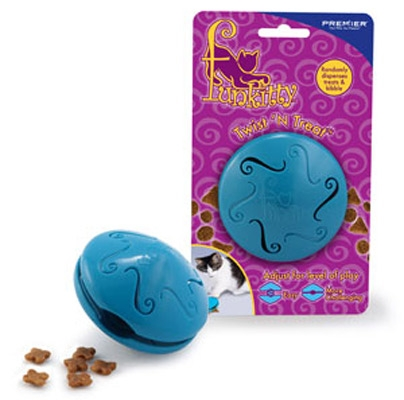 Open 1, 2, or 3 holes, to customize to each cat's needs and to increase the challenge with time. The Treat Meter™ in the bottom allows for treat distribution from all angles. The Egg-cersizer can be used for both treating and feeding of meals. for an irresistibly good time!